WAUKEE, Iowa — An Iowa teen and her parents are crediting the hand of God for saving her life after she suffered an irreversible brain injury and was unplugged from life support with no hope of recovery. 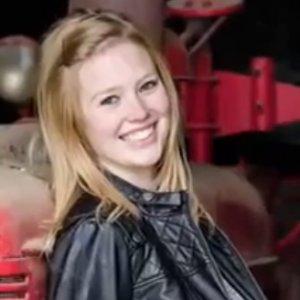 Taylor Hale, now 17, was injured in 2011 after she slid off the hood of a friend’s car. She and another girl were joking around after a football game, and as they didn’t want their friend to leave just yet, they sat on his car. However, as he backed up the vehicle with the two girls sitting on it, Hale fell and hit her head hard on the pavement. She was unresponsive. Hale was taken to the hospital where she was placed in a medically-induced coma in hopes that it would help her body heal. But her brain began to hemorrhage days later, and doctors found that part of her brain was sinking into her spinal canal. “That’s when they said, ‘There’s nothing we can do. It’s basically irreversible,’” Hale’s mother Stacy told local television station KCCI. Therefore, the Hales tearfully prepared to say their goodbyes to their daughter. But friend Jeff Stickel, a chiropractor, visited the hospital as he felt that God was impressing upon him to adjust the girl. When Hales’ parents stated that they didn’t feel comfortable with it, he asked if he could simply pray with them. They agreed. Stickel laid hands on the girl’s neck—without adjusting it—and asked the Lord to heal her body. Hours later, hospital staff turned off Hale’s life support. But as they did so, they noticed that Hale was trying to take breaths on her own. They reconnected life support and noted throughout the day that her brain activity began to increase. She slowly began waking up and tried to talk. The teen continued to improve and underwent rehabilitation, where she had to slowly relearn how to do many activities that most take for granted: swallowing, talking and walking. While Hale still struggles with her short term memory, and cannot remember many of the details from her childhood, her life is like that of any other teenager. She has caught up with all of her studies and is set to graduate next Monday. The teen plans on attending community college in the fall, where she will study to be an event planner.